Up to 200 million pigs could be culled or die from being infected as African swine fever spreads through China, Rabobank said, by far the highest such forecast yet and underscoring the gravity of the epidemic in the world’s top pork producer. Such a number would mark a huge chunk of the nation’s pig herd, which Rabobank says stood at 360 million animals late last year, and comes as many in the industry say the spread of swine fever there is much worse than authorities have reported. The drop would drag down China’s pork output by 30 percent in 2019 from last year, Rabobank said in a statement late on Thursday, boosting demand for meat imports and sapping appetite for animal feed made from commodities like soybeans. 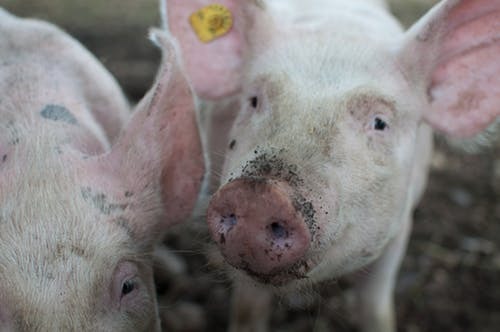 A total of between 150 million and 200 million pigs will die from being infected with African swine fever or culled in the wake of outbreaks, agricultural industry analysts at the bank said. China, which produces about half the world’s pork, this week said it had culled 1.01 million pigs to control the disease. It has reported 124 outbreaks since August last year, with the virus having reached every province apart from the southern island of Hainan and continuing to spread. The agriculture ministry, which did not respond to a fax requesting comment on Friday, has repeatedly said the situation is under control. China’s pork production is seen at around 38 million tonnes in 2019 versus 54 million tonnes last year, Sherrard told Reuters, citing the company’s latest forecast. That would be the lowest level in at least 20 years, according to the National Bureau of Statistics data, with repercussions across the global market for all animal proteins. The decline would be nearly 30 percent larger than annual output in the United States and equivalent to Europe’s yearly pork supply, Rabobank said. The United States Department of Agriculture has forecast a smaller decline in China’s pork output this year, of around 10 percent. The disease kills almost all pigs infected, though it is not harmful to people. There is no vaccine or cure. The agriculture ministry said last month that the national pig herd in February had fallen 16.6 percent year-on-year, and sow stocks were down more than 19 percent. In major Chinese hog producing region Shandong, breeding pig numbers plunged 41 percent in the seven months to February. The large breeding herd losses will delay China’s hog market recovery, said Rabobank. “Rebuilding efforts will be further complicated by the risk of recontamination, despite available financial resources,” it said in the statement. Pig prices have soared since March, with rising pork prices driving consumer inflation last month to its highest since October 2018, data showed on Thursday. The drop in production will mean China will have to increase pork imports by 1.5 million tonnes to around 4 million tonnes, sucking in all available supplies from the global market, said analyst Sherrard. China’s purchases of U.S. pork are already increasing and hit the highest in at least six years last week, U.S. data showed on Thursday. Domestic production and imports of other animal proteins like poultry, beef, mutton, and seafood will also increase to partially close the gap, Sherrard said. He added that the disease was also spreading quickly in Southeast Asia, with Cambodia reporting its first case last week after the rapid spread through Vietnam. An anticipated 10 percent decline in production in Vietnam would put further pressure on a global market already struggling to meet demand from its bigger neighbor, Sherrard said.